Tina: Mum? Mum. Mum. Mum. Mum. Mum. Mum. Mum. Mum. You all right? Q: What happens to the dog? Last year's "Kill List" was one of the creepiest, most disturbing films I had seen in a long time. It's a film that stayed with me long after the screening, and one I encouraged friends and associates to check out. Some still haven't forgiven me. 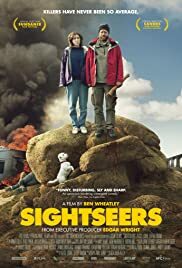 Imagine the combination of dread/anticipation I felt about the chance to see director Ben Wheatley's latest slice of darkness entitled "Sightseers". Described by some as a "dark comedy", I would say that the only thing possibly darker than Wheatley's sense of humor would be the center of a black hole. 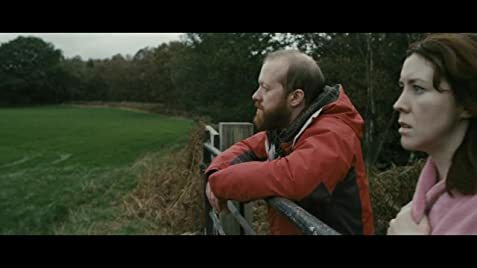 "Sightseers" tells the story of a frumpy British couple off on 'holiday' (as they say,) the problems that come up on such trips, and the unique way they choose to solve them. Saying any more would give too much away. Suffice it to say, may you NEVER come across a couple like this on your vacation. Is it funny? Yes, it is. But you may hate yourself for laughing. Is it violent? For sure. Exceptionally. But in the context of the story, it has to be. Is it disturbing? Oh, yes it is, but once again Wheatley has made a film that once you've started it, you'll find it difficult to turn away. And, like "Kill List", the ending packs a wallop from which it may take you a while to recover.